To commemorate the 544th Birth Anniversary of Sahib Sri Guru Nanak Dev ji, a religious procession (Nagar Kirtan) was organized by Gurudwara Sri Guru Singh Sabha, Dwarka on Sunday 2nd December 2012. The procession is led by Punj Piyaras (Five Beloved) and the Holy Palki of Sri Guru Granth Sahib ji, followed by groups of Kirtani Jathas, Gatka Parties, Bands and Students of various schools etc. said Sardar Tarlochan Singh Matta, Joint Secretary of Gurudwara Committee. On this auspicious occasion, Dwarka Sikh Forum has arranged Langar (free meals) adjoining to DDA office on the crossing of Sector -5, 6, 10, 11 for each and everyone. Large number of Dwarka residents and representatives of various social and religious groups of the Dwarka Sub City has participated and did the Sewa. 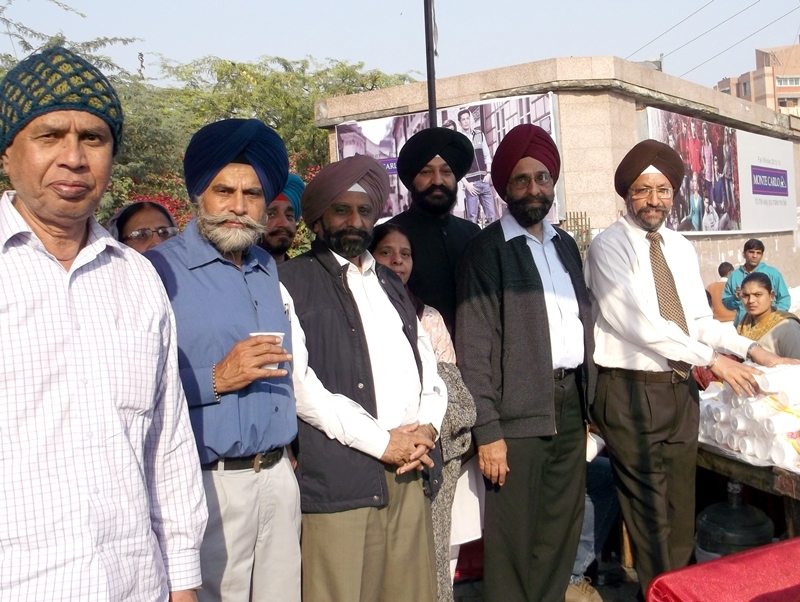 On the arrival of Nagar Kirtan at the site, everyone paid the respect to Sri Guru Granth Sahib ji by bowing their heads said Sardar Arvinder Singh Chhatwal, Secretary, Dwarka Sikh Forum. Guru Nanak Dev ji brought a social and religious revolution by providing a platform of SANGAT and PANGAT, where people would pray together and eat together irrespective of caste, colour, creed or faith said Arvinder Singh Chhatwal.